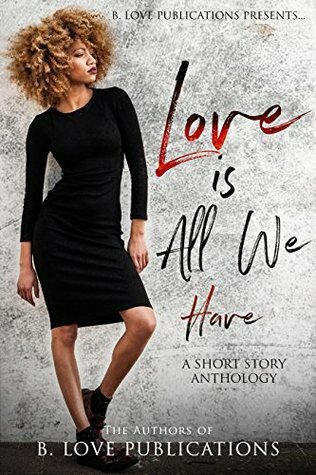 In "Love is All We Have" the Authors of B. Love Publications come together for five highly entertaining, emotional, and edifying love stories that are guaranteed to leave you wanting more! I’m not sure if it was me, but this story damn near gave me whiplash things happened so fast. That is one of the downsides of short stories, particularly when they’re in an anthology. It’s purposely limited. It was good, but I couldn't keep up. I really believe had this been fleshed out, it would have been really interesting. I’d like to see this author try out a full-length urban fiction novel. To be perfectly honest, this one was aiiight. For a short story with little time, it wasn’t bad. I loved the brother. He popped in and out but he was hilarious. Give me more of him. This was intriguing but read like a teaser for a novel. Adorable, however. This was pretty intense with a spiritual pull that I felt in its short pages. A quick and shattering romance, I would love to see fully explored. I really liked this one. I think it was one of my favorites. Rough around the edges, and predatorial, Keanu is one of my favorite types of book boyfriends. The kind whose mere presence causes a shift in the atmosphere. A nice ending to the anthology. It sounds like a solid anthology. I tend to struggle with short stories because I NEED more, and it sounds like some of the stories had that issue here.